From the rear side cover: Alastair Timpson belonged to that generation of young men who were propelled straight from public school into the maelstrom of the Second World War. Inured as they had become from quite an early age to discomfort, discipline, indifferent food and absence from home, many appeared to make an effortless transition from the peace of their upbringing to the dangers of front line soldiering. Timpson had the good fortune to find his way, via the Scots Guards, into the Long Range Desert Group, that most romantic of special force units. 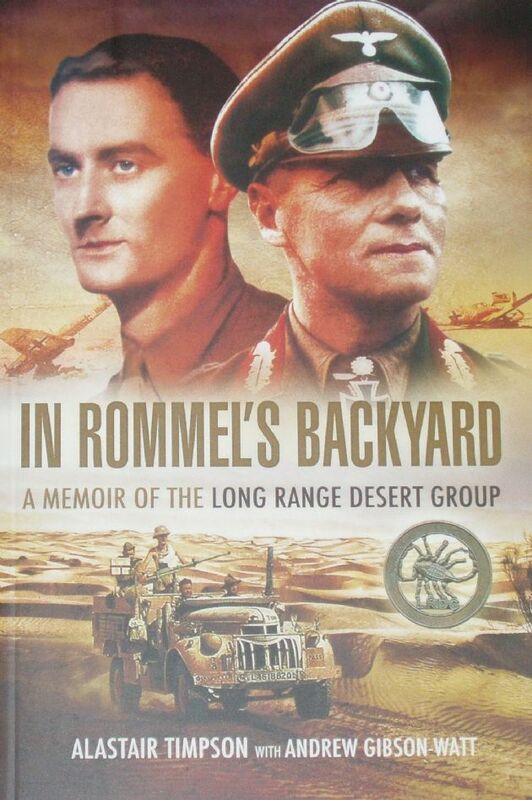 In Rommel's Backyard describes the threefold roles of the LRDG, all of which involved daring, dash and incredible feats of endurance and navigation deep behind enemy lines. They were the eyes and ears of the Eighth Army, road­watching and reporting enemy movement; they destroyed enemy aircraft, supply dumps and vehicles; and transported other special forces and agents to their objectives. In a calm, often detached way - his modesty is noteworthy - the author gives an account of his and his colleagues' war behind enemy lines which will appeal not only to historians of the period but to all those who enjoya real-life­ adventure story of epic encounters fought, and won, against the odds.